Air travel is a hassle, there’s nothing seamless about it. 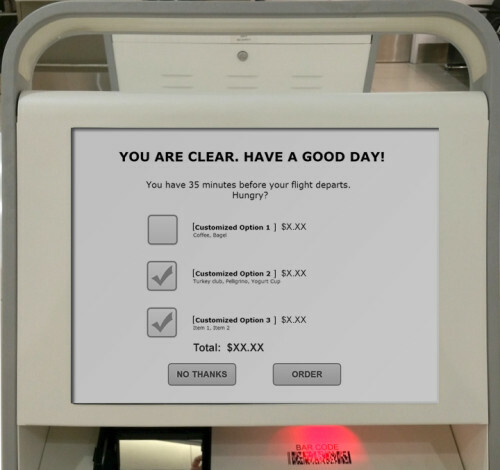 The client offers faster air travel by using fingerprint or iris (biometrics) at special kiosks to confirm traveler identity rather than waiting for the manual ID check. 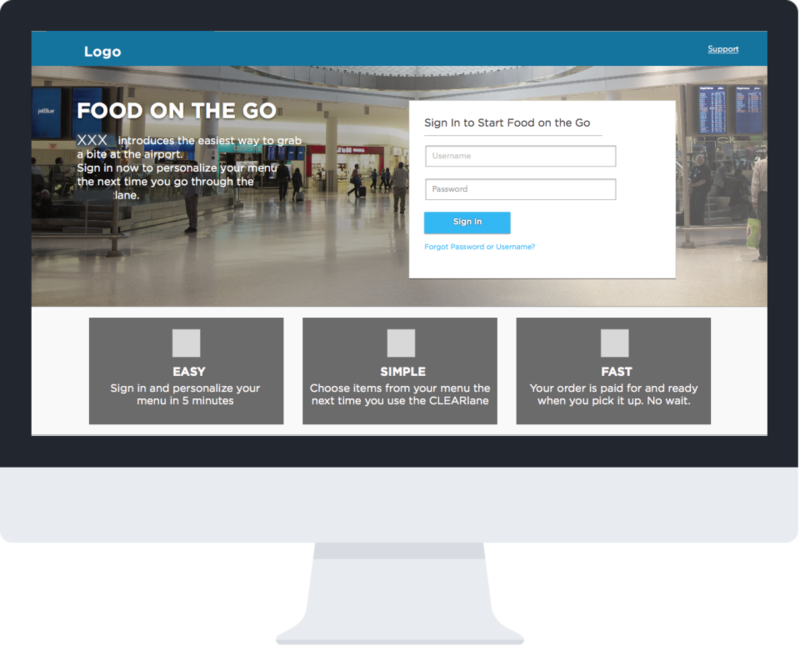 To further ease air travel, the client wanted to offer their members the opportunity to purchase food or beverages from the kiosk as they went through airport security. Once through security the member could pick up the order at the vendor, no waiting in line to order or pay. Can the airport experience be improved by allowing travelers to order and pay for snacks or beverages using their fingerprint? UX Designer. Responsible for designing the proof-of-concept, including research, scenarios, mapping user needs and product requirements, sketching flows and wireframes, and designing comps. Allow travelers to purchase food or snacks when users verify identity before security. Must be a fast interaction. Target transaction time: ~ 15 seconds. Tight POC turn around: one week. Maintain simplicity & speed while fostering trust and personalization. This project required an extremely tight turn-around, one week. As a result, there was little opportunity for extensive project-specific research, though I was able to use existing user research that revealed general usage of the service. Additionally, I interviewed several frequent travelers in an effort to determine their pain points at the airport and to get a sense of their individual behaviors, needs and practices when traveling. When speaking about the emotional experience of air travel, themes included dread, hassle and impersonal. There was sense of being “treated like a number, like we are all the same.” From these insights, emphasizing a process-free, subtlety personalized experience was key. 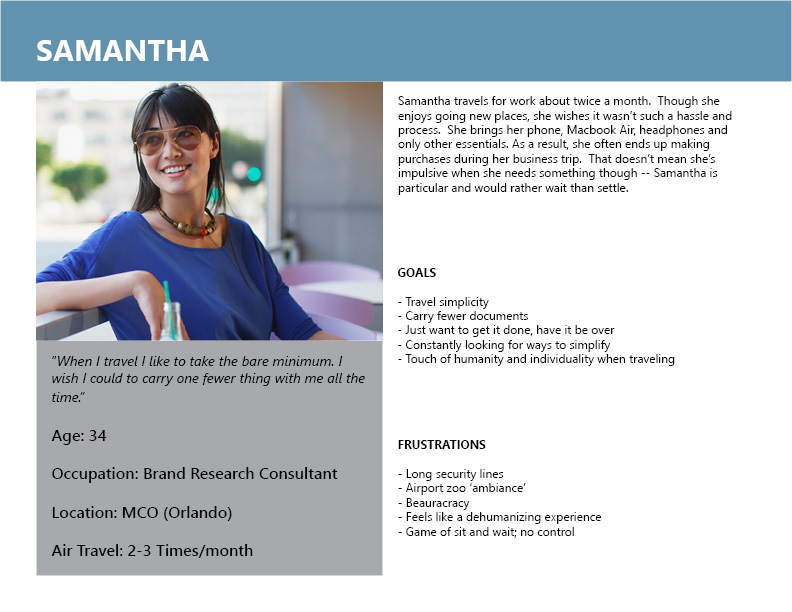 I created high-level personas and scenarios to better pinpoint factors that would influence user engagement. This quickly revealed the most significant design challenge. The project requirements called for purchases to be made at the kiosk but its primary function is traveler identity verification to get through security faster. This meant the food purchase interface and experience had to be very simple and fast to avoid users queuing to complete identity verification. 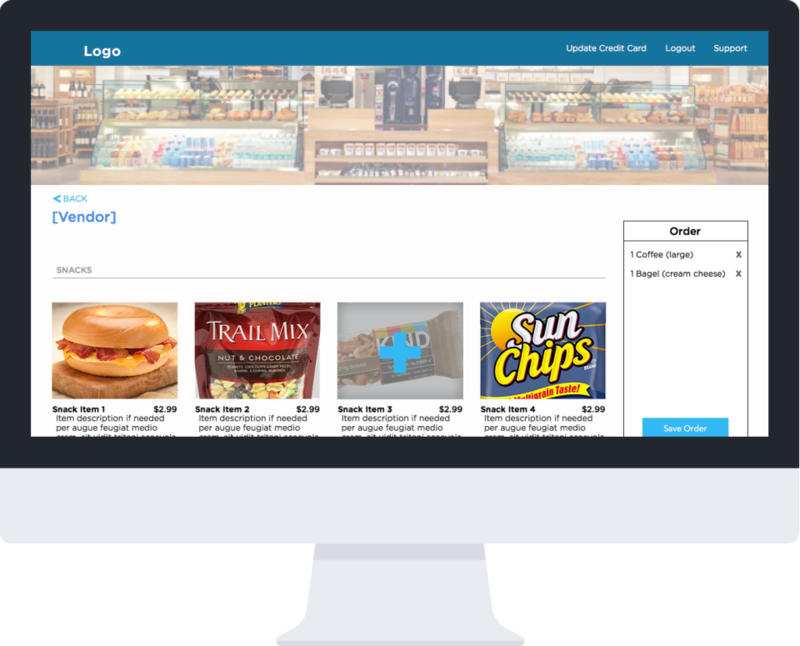 As a result, the number of items available for purchase had to be very limited to meet interface constraints and the target transaction time. A small screen with lots of options would not only be bad UI, but would inherently increase transaction time (see Hick’s Law). The flip side was that a limited, generic menu didn’t meet the needs of users as shown through research and emphasized in user scenarios. In general, people need time to rationalize the decision to make a purchase — that’s much harder to do under time pressure and with non-optimal choices . In such a situation, the easiest decision is to order nothing. In addition to data showing the value of an experience that felt subtly personalized, the client’s service is entirely about individuality; the member uses their unique fingerprint or iris pattern to identify themselves. A generic screen with four to six non-optimized food options was incongruous with the rest of the member experience. Potential benefit of user ownership and fostering stickiness (see IKEA effect) — by investing time and effort, there would be greater emotional connection to the experience. It’s use wouldn’t be a blocker to generic menu. 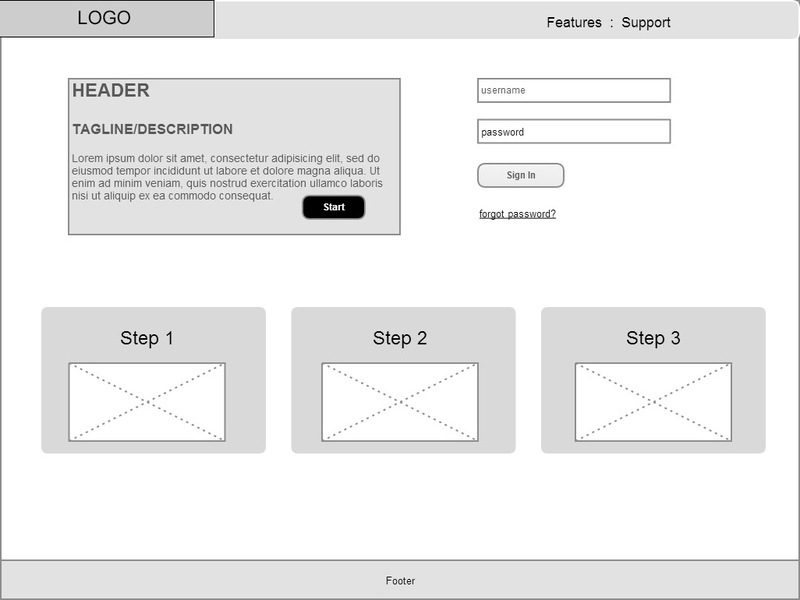 Based on research and understanding stakeholder and user needs, I created rough wireframes of the interface. 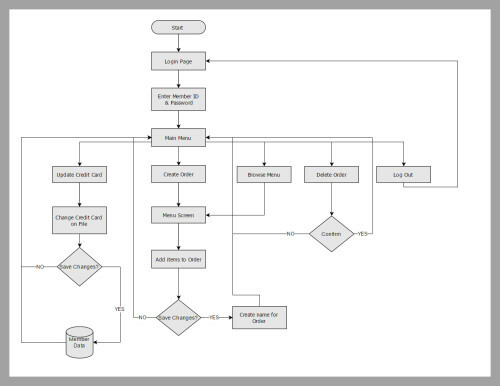 After getting client and user feedback, I created site maps and created comps to illustrate the entire flow. 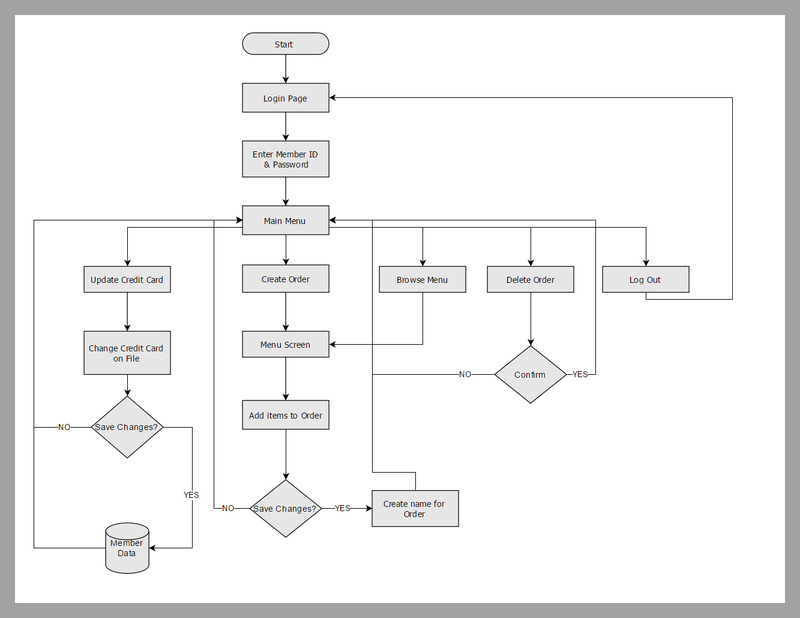 Initial wireframe of kiosk screen for selecting items to order. This would appear after completing ID verification. 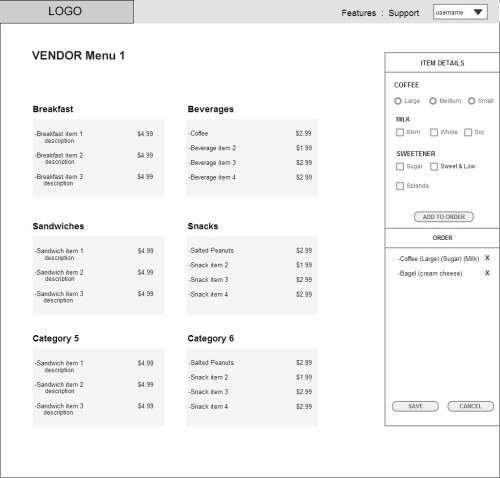 Wireframe of main screen for selecting and saving food orders. 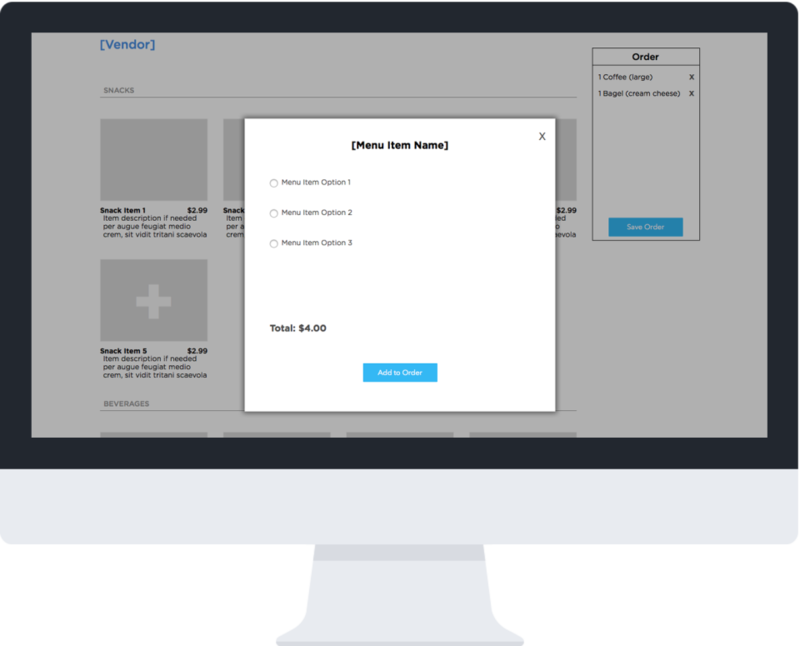 Menu screen for adding items to orders. The design helped illustrate the potential for kiosk-based concession sales and convinced airport stakeholders to push forward with the project. In that respect, my work had real impact and and was a driving force for new product verticals. This product was developed, though with some modifications from what I designed. For the purposes of iteration, I argued for testing mobile phone based purchases — the kiosk didn’t feel like the right interface for purchases. I felt they offered a better experience and didn’t create the same conflict of user goals – use the kiosk quickly vs. make a food purchase that delights users. Particularly in light of mobile order apps from companies like Seamless and Starbucks, exploring other interfaces seemed worthwhile. Finally, due to the very tight project timeline and abbreviated discovery, more research could be valuable.